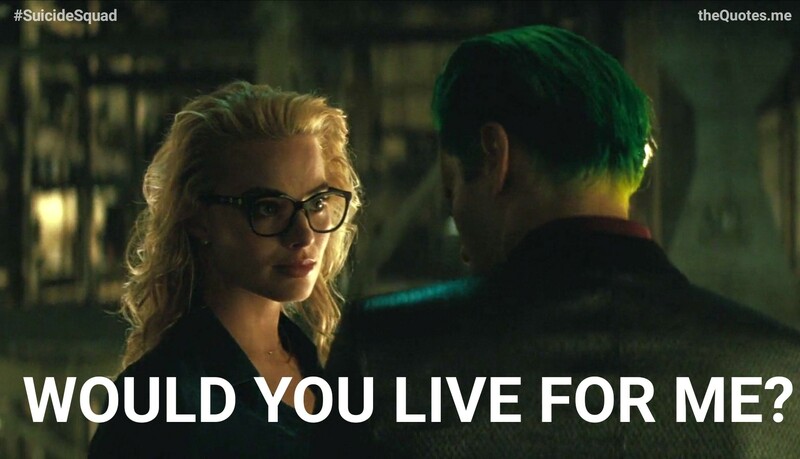 The Joker: Would you die for me? The Joker: That’s too easy. Would you live for me? Author theQuotes.mePosted on August 17, 2017 August 27, 2017 Categories Comic Book Adoptions, DC Comic Movies, Margot Robbie, MoviesTags DC Comics, Death, Die, Harley Quinn, Intense, Joker, Love, Margot Robbie, Suicide SquadLeave a comment on Would you die for me?